There are approximately 1,800,000 rental cars in the United States, according to a 2011 Auto Rental News study. With an estimated 86.5 million visitors to Florida in 2011, the rental car industry is massive in the Sunshine State. With the sheer amount of rental cars on the road, there is a strong possibility that you will be in an accident that involves one. The reasons for collisions can vary, but many of these will likely involve careless or reckless actions. 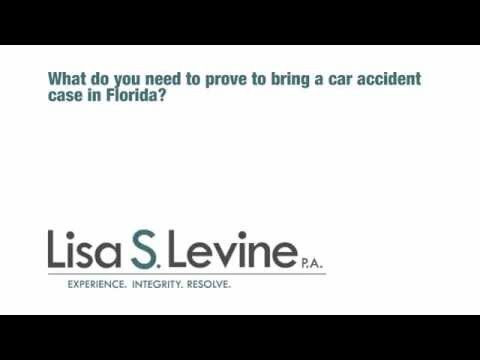 Although Florida auto accidents are sometimes unavoidable, there is no excuse for drivers acting in a dangerous manner. If you have been injured in a rental car accident due to negligence, you may be eligible for compensation. A lawsuit involving rental cars can be extremely complicated, with multiple parties involved. Drivers, rental companies, insurance providers and attorneys from both sides will be arguing for their interests. When money is at stake, well-resourced corporations and defendants will look for any way to get out of paying damages, so having a Fort Lauderdale car accident lawyer at your side to hold them accountable is of paramount importance. Our, Fort Lauderdale Rental Car Accident Attorney, Lisa S. Levine P.A. 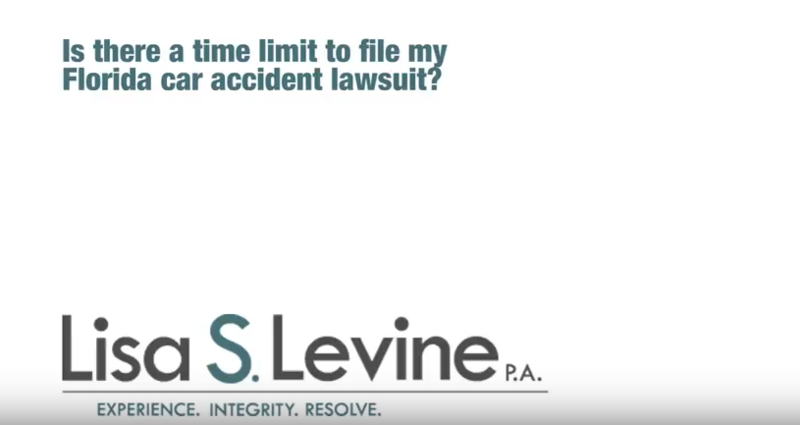 has been defending victims of negligence for years and we have a great deal of experience standing up to large insurance and rental car companies who are only considering their bottom line. 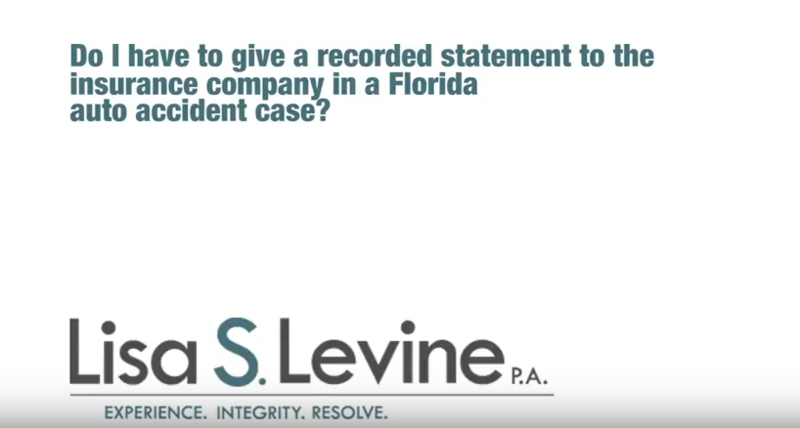 We are not intimidated by large legal teams and aggressive tactics, and we will use our extensive knowledge of Florida law to develop a case strategy that identifies the offending party and proves negligence. Providing cost-effective representation, our firm works on a contingency basis, meaning that you will only have to pay lawyer fees if we win your case. This value-driven philosophy means that our interests will be directly aligned with yours throughout the entire legal process and we will stop at nothing to get you what you rightfully deserve. As a Broward County based practice, we offer our legal services to individuals and families throughout Southeast Florida, including the cities of Fort Lauderdale, Weston, Hollywood, Miramar, Sunrise, Plantation, Davie, and Coral Springs, among others. Our firm also offers free consultations to go over the details of your rental car accident case in a relaxed, judgment-free setting. To schedule a time to meet with a qualified Weston car rental accident lawyer, please call 954-256-1820 or send an online message today. Stop and stay calm – Immediately after an accident, do not try to move until you know that you are unhurt. If you are hurt, stay still and attempt to get someone to call an ambulance. Call police – Notify the authorities as soon as possible. Cooperate with police officer to the fullest extent of your ability and give them an accurate description of what happened. Document the scene – After safely exiting the vehicle, note the scene and take pictures if you have a cell phone handy. Try and protect the integrity of the scene by not moving your vehicle. If you are able to move the vehicle and it would be safer to do so, move your car to the shoulder of the road, away from traffic. Write down any relevant factors that you would like to keep on file for down the line. Exchange minimum information – If you speak with the other party, only exchange basic information. This does not include you license number or any other identifying information that could be stolen. Never admit that you were wrong or acting in a careless manner. Even an off the record comment can come back to bite you. Also, do not comment on injuries or how you feel. 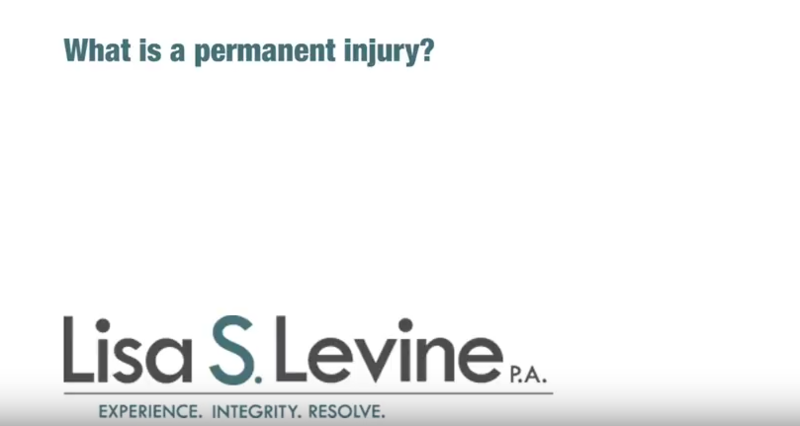 It is likely that you will start feeling certain pain or discomfort long after the collision occurred, so if you say that you are fine, it may not be the case and it could hurt the eventual claim. Notify insurance provider – Let you insurance provider know what happened, but do not make any recorded statements at this time. Only basic information is necessary. Also, NEVER make a recorded statement for the other parties insurance company. You are not required to do so and it will likely only make the claim more difficult. Call attorney – This can be done at any time during this process. If you do not know how to handle the situation, call your attorney as soon as possible so he or she can advise you on what needs to be done from your end. In its broadest sense, no-fault insurance is any type of insurance contract under which the insured are indemnified for losses by their own insurance company, regardless of fault in the incident generating losses. No-fault insurance has the goal of lowering premium costs by avoiding expensive litigation over the causes of accidents, while providing quick payments for injuries or loss of property. 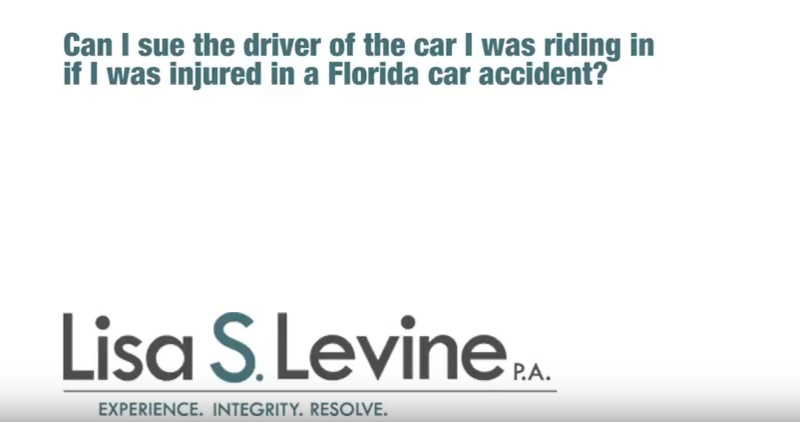 Florida requires all drivers to carry a minimum of $10,000 in Personal Injury Protection (PIP) coverage with a maximum deductible of $2,000. PIP insurance provides coverage for the owner of the vehicle, residents in the same household, anyone driving the vehicle with the owner’s permission, and passengers and pedestrians involved in the accident that do not have their own insurance. The insurer is responsible for 80% of certain medical expenses, 60% of any loss of gross income and loss of earning capacity, and death benefits of $5,000 per person. To bring a tort action, a plaintiff must show either a permanent loss of a bodily function, permanent injury other than disfigurement or scarring, significant and permanent scarring or disfigurement, or death. There is no negligence or criminal wrongdoing on the part of the owner (or an affiliate of the owner). 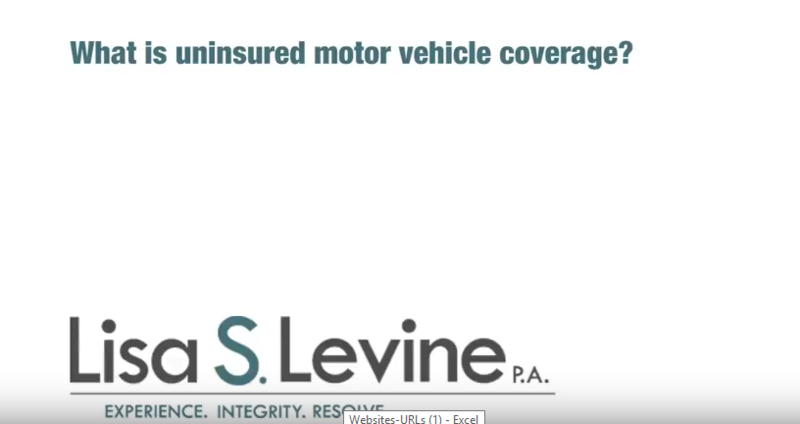 Imposing liability on business entities engaged in the trade or business of renting or leasing motor vehicles for failure to meet the financial responsibility or liability insurance requirements under State law. If you or a loved one has been injured in a rental car accident, Lisa S. Levine P.A. is here to help you receive the compensation you deserve. With years of personal injury litigation experience, our attorneys are well versed in Florida law and are prepared to fight for you in court. A lawsuit involving rental vehicles is commonly a complicated process that requires a vigilant eye and strong attention to detail. Our aggressive legal team is willing to take every necessary step in order to find a favorable resolution so you can move on with your life. We proudly serve individuals who were victims of rental car accidents throughout Southeastern Florida, including the cities of Weston, Fort Lauderdale, Deerfield Beach, Lauderhill, North Lauderdale, and Cooper City, among others. To schedule a risk-free consultation to go over your rental car accident, please call 954-256-1820 or send an online message today.